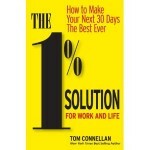 Today I get to review the book The 1% Solution for Work and Life by Tom Connellan. I have been doing a lot of reading on working smarter, being more productive, and developing solid work habits lately. With all the balls I juggle, it is often more than a little crazy. When my friend Rebecca reached out to me to see if I wanted to review this book, I couldn’t wait. The last book review I did for them was fantastic, and I hoped this one was on the same level. Lucky for me, it certainly was. The basic storyline is this: Ken’s life is barely hanging on by a thread in some places. He is sick and tired of just struggling to maintain that level of performance, and that prompts him to start a conversation with a friend who is doing quite well. The friend shares with him an interesting phenomenon illustrated by Olympic athletes. Apparently the best athletes in the entire world are approximately 1% better then those who are just really, really good. It’s not a 50% difference or even 10%. And if they can be the that good by being 1% better, why can’t we be 1% better at lots of little things in life? That conversation spurs Ken to start meeting with each of the “One Percenters” in his friend’s group to gather bits of information and ideas on how to live his life better. 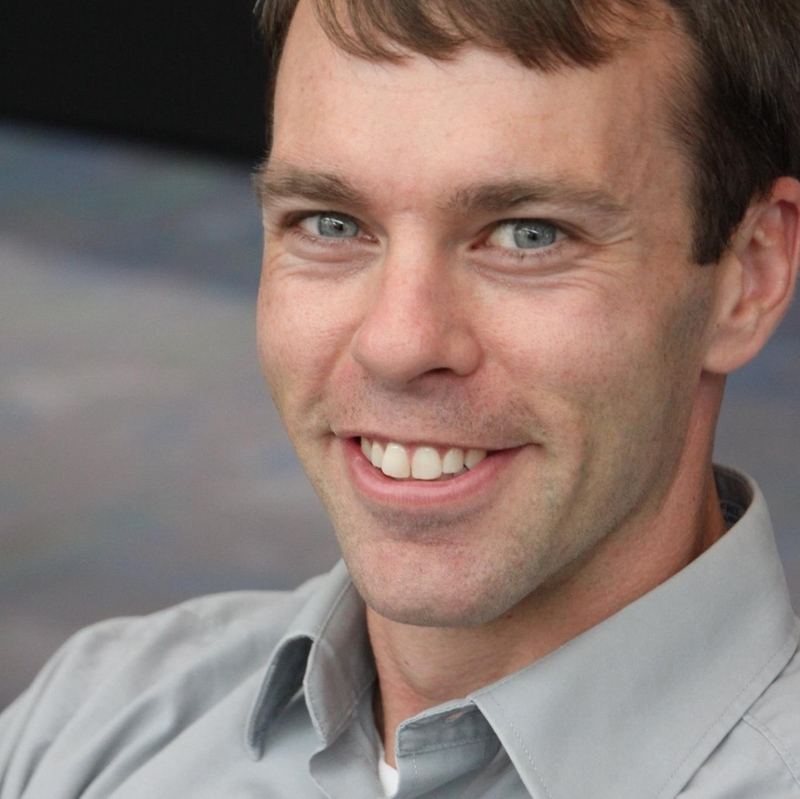 He hits the highs and lows (as most of us do when tackling something challenging), but in the end, he sees how each piece comes together and starts applying them to his own life. The picture on the left is one of the best pieces of the book, because it actually stops to list the exact ideas and action steps each character is trying to convey. The little conversations that Ken has with the others in the group and the notes he takes are phenomenal. Because the ideas come from a diverse group of people (salesman, entrepreneur, psychologist, physicist, and athlete), there’s a different feel to each instructional session he undergoes. There are a handful of these in the book that I ended up copying word for word into my list of tasks. If you want a book to inspire you and give you some ideas on how you can be 1% better at a lot of things, this is definitely something you will want to read. It’s a quick read (and the narrative/story portion helps with that), but you’ll have to go back and reread the notes portions to fully absorb the ideas the book is conveying. Anyone else ever read it? I’d love to hear ways you work to be 1% better at a lot of things instead of trying to be 100% better at one big thing. 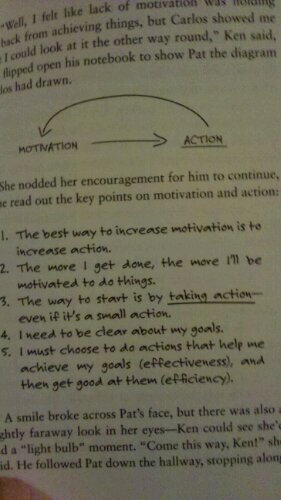 This entry was posted in General and tagged Book Review, Books, Motivation, Productivity on January 21, 2011 by Ben. I always like your recommendations, so I’ll check it out!